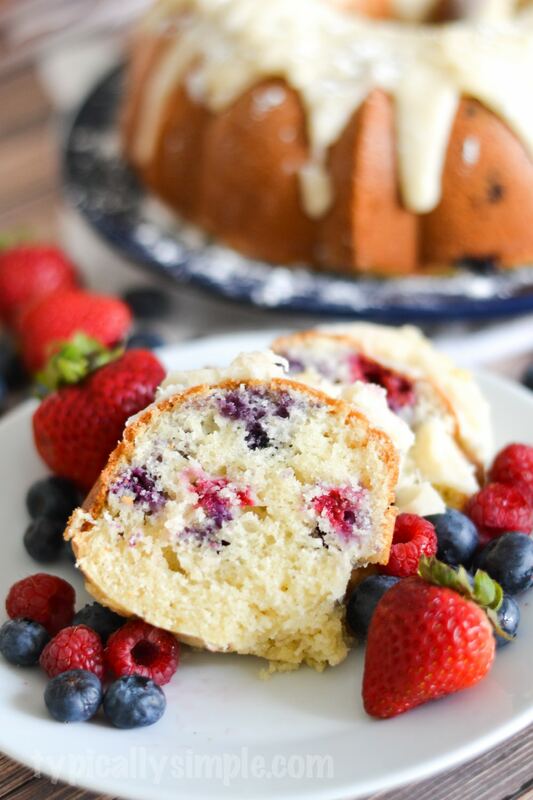 A decadent berry bundt cake recipe that is quite simple to make using fresh blueberries and raspberries. 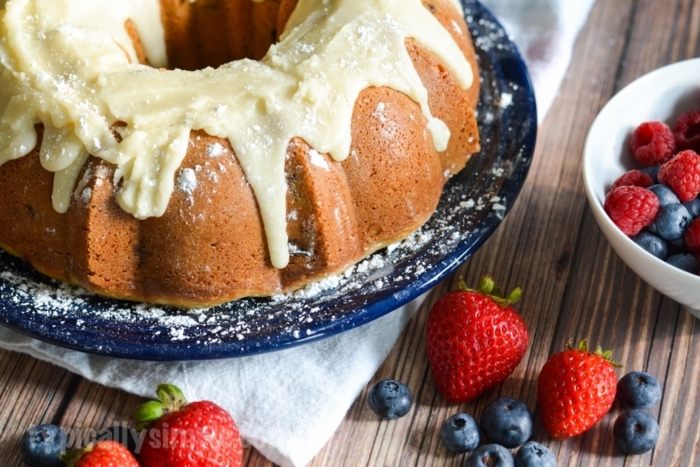 A delicious treat to serve with after dinner coffee! 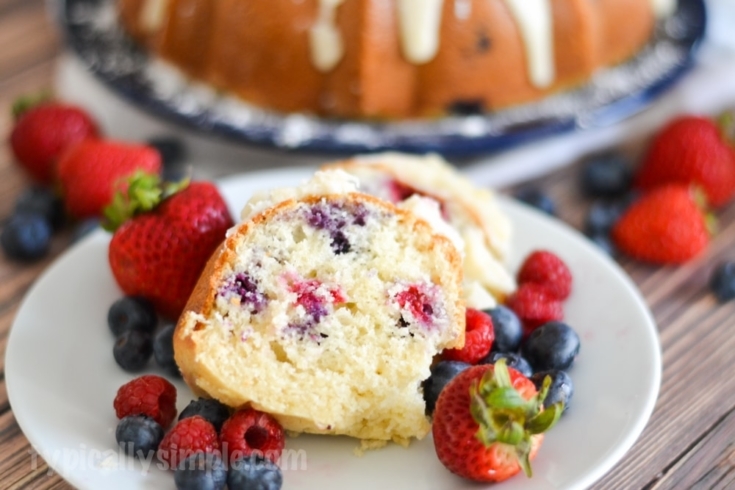 Summer berries are my absolute favorite…especially juicy blueberries that are oh so sweet. But sometimes I get a batch that are still a little tart so I like to throw those into a baked goods recipe. 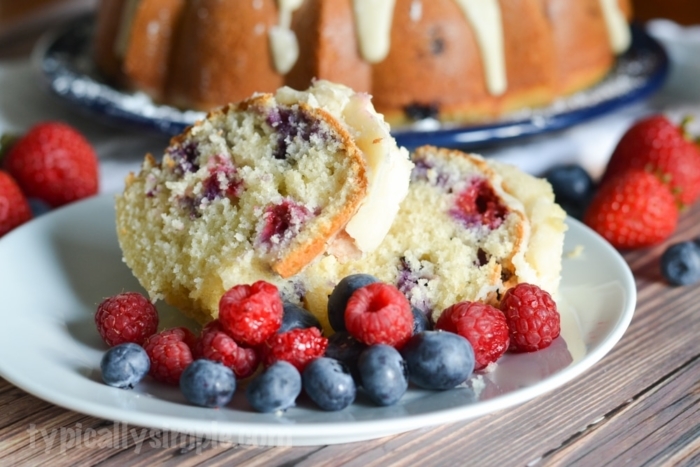 Blueberry muffins are always an easy recipe, but if you want a little something more, then this very berry bundt cake is the way to go! Preheat oven to 350F. Lightly grease a bundt pan. In a large mixing bowl, combine all of the dry ingredients and set aside. Roll the blueberries & raspberries in the corn starch until coated. In another bowl, beat the eggs with the sour cream until combined. Add oil, vanilla & milk. Mix well. Mix the wet ingredients with the dry. Fold in berries. 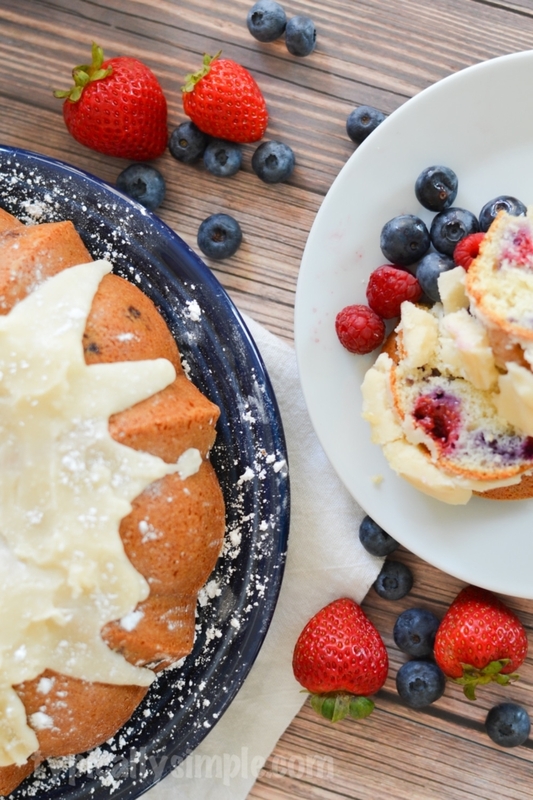 Transfer batter to bundt pan and bake for 40-45 minutes. Or until tester comes out clean. Cool in pan for about 20 minutes then transfer to wire baking rack. The cake by itself is not super sweet, so I like to add a drizzle of cream cheese frosting to the top. You could also serve with ice cream or a little whipped topping to up the sweetness factor. 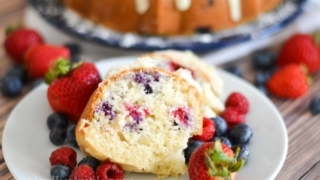 A delicious very berry treat that can be served as dessert or at brunch! And if you happen to have leftovers, store in an airtight container in the fridge. Cool in pan for about 20 minutes then transfer to wire baking rack to finish cooling. Slice & serve!